Hamilton Center welcomes therapist Melissa Burns, LCSW, LMHC, LMFT, at the Child & Adolescent Services building located at 500 8th Ave. in Terre Haute, IN. Ms. Burns graduated from Indiana State University with a Bachelor of Social Work and a Master of Science in Agency Counseling. She has worked in the Terre Haute area as a therapist and social worker for 30 years serving families, children, and adults. As a program coordinator she oversaw programs that served victims of domestic violence, implemented safety and treatment plans, and managed federal grants. Her clinical interests are in working with chronic mental illnesses, children and adolescents, and victims of domestic violence. Hamilton Center welcomes Dr. Delthea J Hill, Ph.D., LCSW, ACSW at the Indianapolis satellite office located at 2160 N. Illinois St. Indianapolis, IN 46202. Dr. Hill will provide telehealth therapy services from the Indianapolis location to Hamilton Center’s rural service areas. Dr. Hill graduated from Indiana University with a Philosophy of Social Work after completing a Master of Science in Social Administration from Case Western Reserve University, and a Bachelor of Arts in Sociology from Kent State University. She has experienced the field from many perspectives including as a leader, an educator, an entrepreneur, and a social worker. As a social worker she completed discharge plans, worked with referral sources, and coordinated interdisciplinary care plans for geriatric populations. As a director she administered staff training, monitored consumer outcomes, and reviewed federal Medicaid policies. After completing her Ph.D., Dr. Hill worked as Director of County Operations at a local community health center offering crisis management, developing treatment plans, and performing needs assessments for children and adults. Hamilton Center, Inc. is a regional behavioral health system in Central and West Central Indiana with corporate offices located in Terre Haute, IN. Services are provided to children, youth and adults, with specialized programs for expectant mothers, infants, and people who may be struggling with stress, life changes, or relationship issues as well as more serious problems such as substance abuse, depression, anxiety disorders, and other serious mental illnesses. 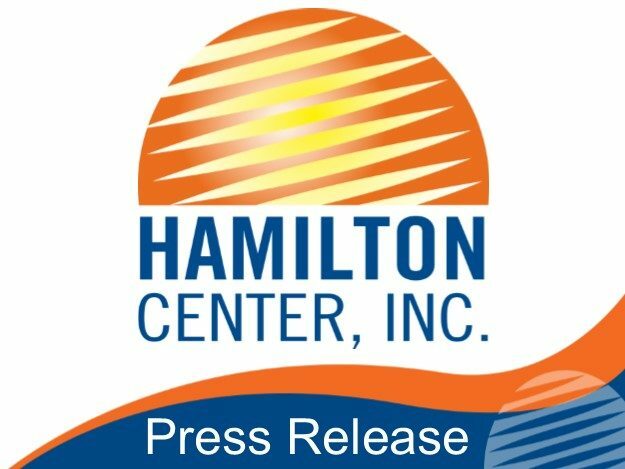 Hamilton Center, Inc. has received a grant from the Indiana Division of Mental Health and Addictions (DMHA) that will allow the organization to offer four paid summer internships to graduate level students in the field of behavioral health. In 2018, DMHA was awarded the State Opioid Response Grant (SOR), a federal relief grant, to address needs related to the opioid epidemic. One of the primary areas of need identified is a shortage of qualified addictions providers within the state. As such, Indiana is dedicating SOR funds to assist Community Mental Health Centers (CMHC) with adding or expanding their addiction workforce through stipends for addiction interns. As summer semester interns, students will learn valuable clinical skills and gain experience in addictions services and programs. At the completion of the internship the students will be awarded a $5,000 stipend, which can cover tuition, housing, and basic living expenses. Internship locations are targeted for Mental Health Professional Shortage Areas (MHPSA), as identified by the Health Resources and Services Administration (HRSA). Hamilton Center currently serves 10 counties in west central Indiana and seven of the ten counties are classified as MHPSA including Greene, Owen, Parke, Putnam, Sullivan, Vermillion, and Hendricks Counties. The overall purpose of this State initiative is to increase the number of licensed clinicians in our state by 10% over the next year with the addition of 50 individuals enrolling in an addiction internships. Hamilton Center was the first certified site for The Matrix Model in the State of Indiana in early 2018, one of only 17 sites in the United States. This certification assures Hamilton Center referral sources, and the State, that the Matrix treatment program is delivered with fidelity. The Matrix Model is a style of treatment designed to aid in recovery from stimulant substances like methamphetamine and cocaine. The method was created in the 1980s and has seen widespread success. The ability of the Matrix Model to bring together the most effective facets from the most effective styles makes it a successful treatment type for people new to recovery, as well as those who have not found success previously. Hamilton Center is a regional behavioral health system in Central and West Central Indiana with corporate offices located in Terre Haute, IN. Services are provided to children, youth and adults, with specialized programs for expectant mothers, infants, and people who may be struggling with stress, life changes, or relationship issues as well as more serious problems such as depression, anxiety disorders, and serious mental illnesses. Hamilton Center, Inc. welcomes therapist Rhonda Earl, LMHC, LAC, to the West Terre Haute satellite office located at 805 W National Ave, West Terre Haute, IN. Ms. Earl completed a double major for Bachelor of Science in Psychology and Human Services at Saint Mary-of-the-Woods College in 2002, and went on to complete a Master of Science in Counseling Psychology at Indiana State University in 2006. She has spent time in private practice, as an educator, and as an addictions counselor. Ms. Earl has worked with a variety of individuals struggling with disabilities and mental illness, including but not limited to, depression, anxiety, mood disorders, and personality disorders. Her clinical interest is in working with adults, adolescents, families and children. Hamilton Center, Inc. welcomes clinical supervisor Tyler Oswald, MA, LMHC, to the Indianapolis and Hendricks satellite offices. Mr. Oswald completed a Bachelor of Arts at Indiana University in 2012 and went on to Ball State University to complete a Master of Arts in 2015. Mr. Oswald has experienced the mental health field from many perspectives. He spent time as a research assistant at the IU Family and Children Mediation Lab, where he played an integral part in participant briefing, data collection, and data analysis. While at Ball State he co-lead outreach that offered education to students on stress management and mindfulness. Mr. Oswald has significant experience in group therapy leading sessions on mind body medicine, understanding self and others, and grief and loss. Mr. Oswald’s clinical experiences with mental illnesses include schizophrenia, bipolar disorder, as well as substance abuse and will focus on those struggling with trauma, psychosis, and anxiety. Hamilton Center, Inc. welcomes therapist Zachary Litherland, LSW, to the Hendricks County satellite office located at 900 Southfield Dr., Plainfield, IN 46168. Mr. Litherland completed a Bachelor of Science in Psychology, in 2015, and a Master of Social Work, in 2017, both from the University of Southern Indiana. As a therapist he has worked with several populations. Mr. Litherland has lead group therapy sessions on depression and anxiety, served in crisis management, as well as served adults with chronic severe mental illness. Currently he is seeking licensure to become a Licensed Clinical Social Worker (LCSW).